50 ways to leave your…? Do you find out why, when employees resign? DMSA’s Exit Interview Survey is quick, anonymous and confidential and can provide your organisation with valuable information to enrich your HR management practices. We work with you to build an exit interview questionnaire designed to suit your organisation and to give you actionable output. It takes only ten minutes to complete the questionnaire. The output? 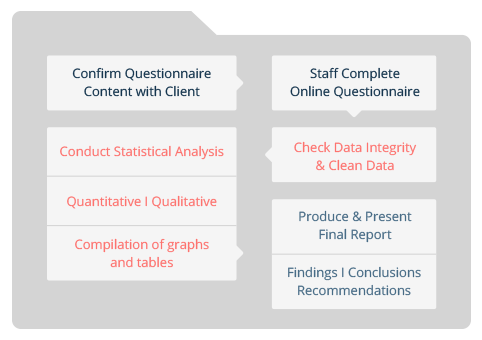 The results are presented graphically using the DMSA Survey Presentation System© and in a Final Report. This includes recommendations for addressing issues/challenges that have been identified. We report on both a national and regional level.